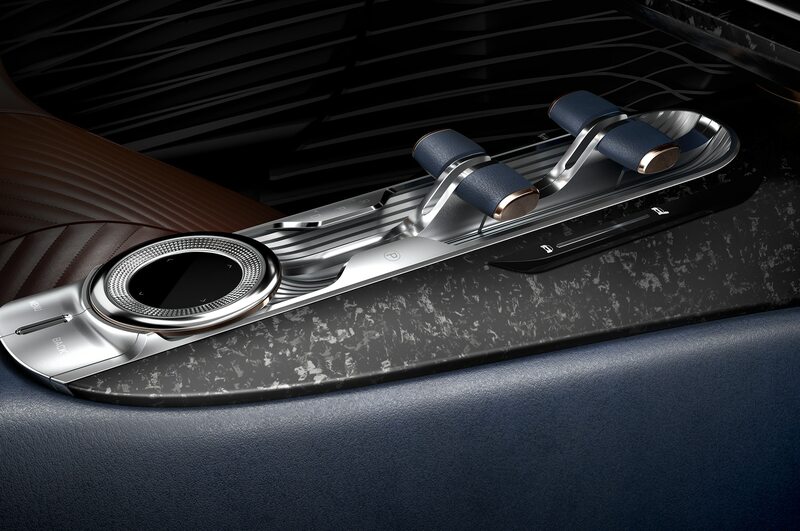 It's not just a superb experimental vehicle, it's also a human triumph. 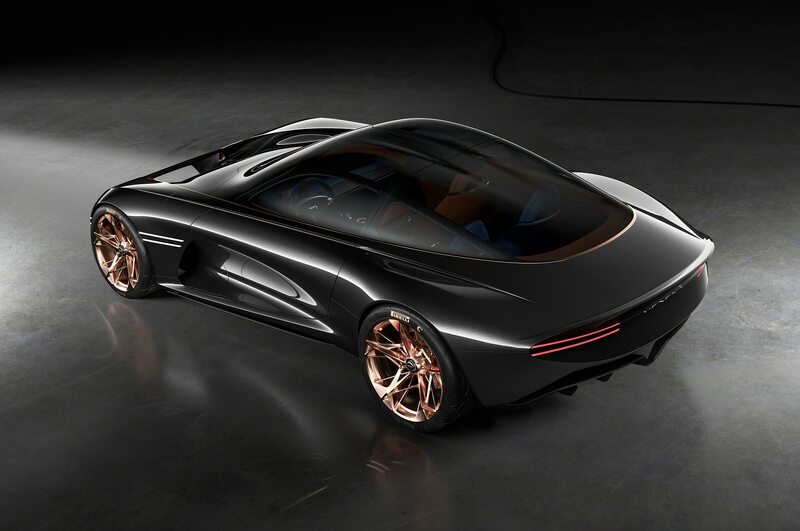 The year 2018 was not a great one for concept cars. 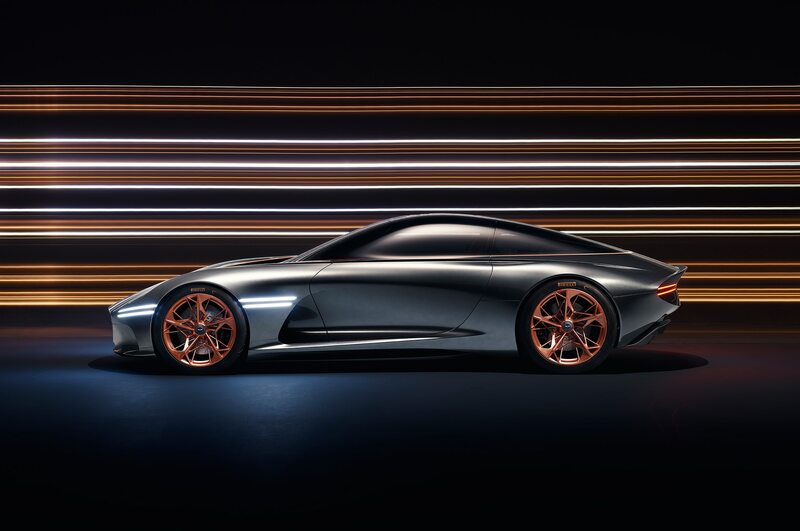 We hoped for radical breakthroughs to show up at the long-running Paris auto show in the fall, but it didn’t happen. 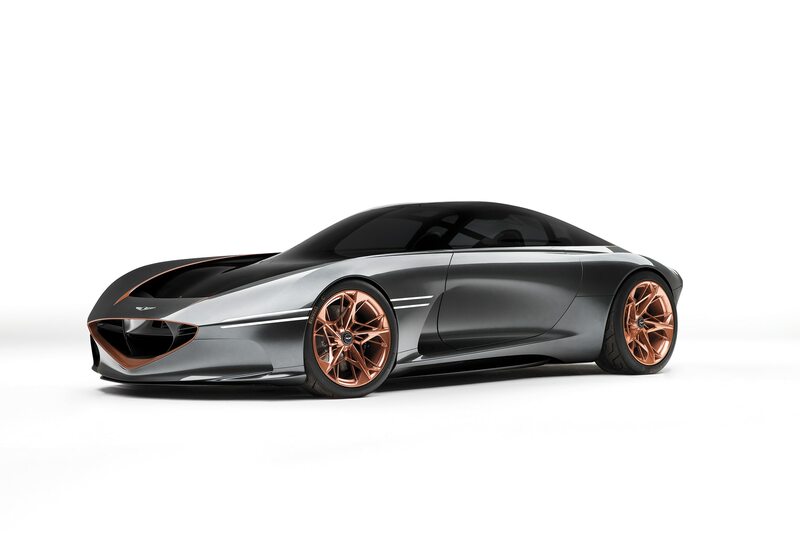 An uninspiring pastiche of a 50-year-old Italian coachwork design from Peugeot for a future electric car was seriously disappointing, however nicely done. 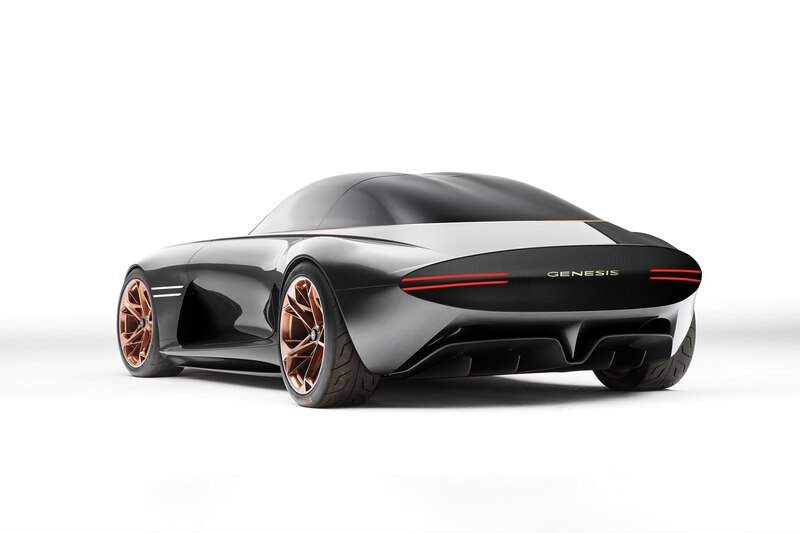 A totally forgettable set of boring boxes from Citroën and some self-driving nightmares with square wheels (or at least square wheel covers) from Renault clearly demonstrated we’re not likely to see a DS-19 style and tech revolution from the City of Light for a long time—if ever again. 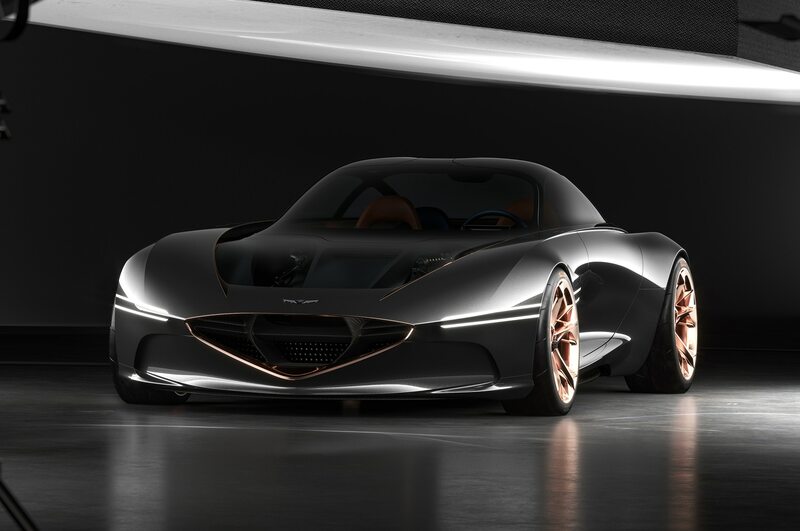 We seem just as far from the outrageous but rational excesses of the Bertone Aerodinamica Technica BAT series in the ’50s or the gloriously over-the-top “dream cars” from Detroit companies in their prime. 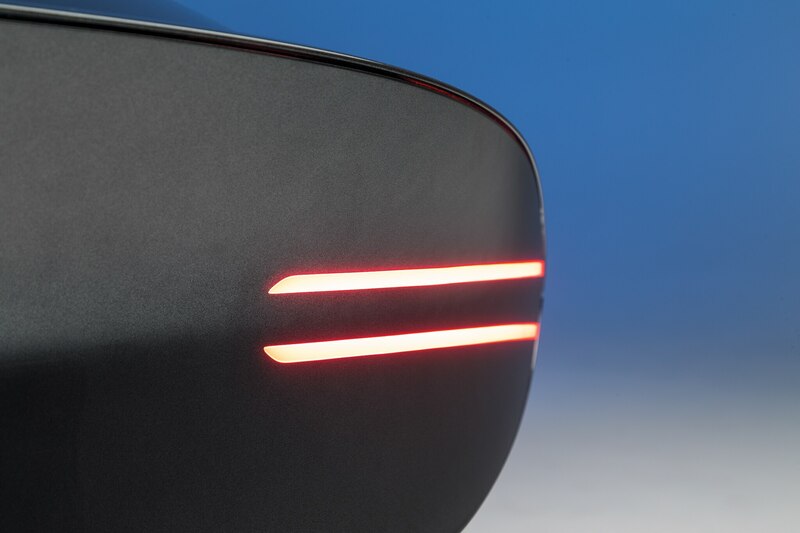 In an era when Ford, the company that put the world on wheels, has decided to essentially stop making cars and substitute perambulating filing cabinets, it’s good to see some people still think seriously and clearly about fluid dynamics and how to assure the lowest possible resistance to moving a comfortable passenger pod through air, rain, and snow with the lowest amount of energy expenditure. 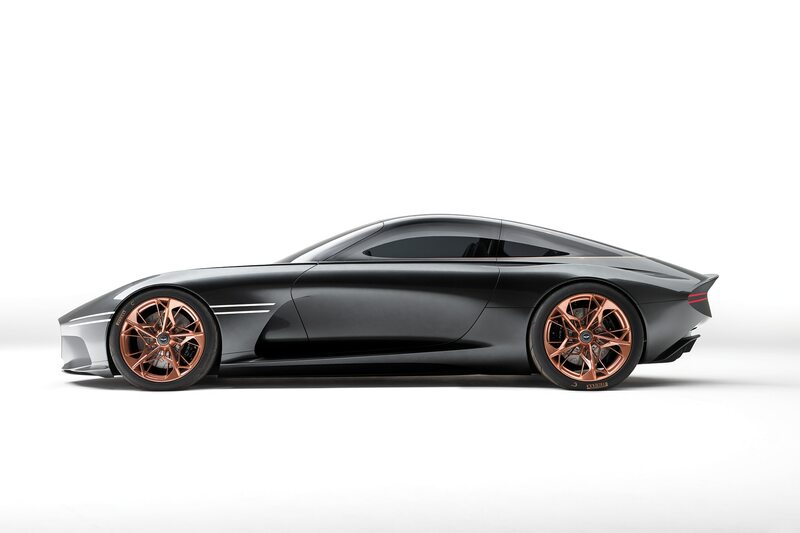 So it’s easy to see why our choice for Concept of the Year is the Genesis Essentia all-electric GT coupe. It is in many senses a truly global masterpiece. 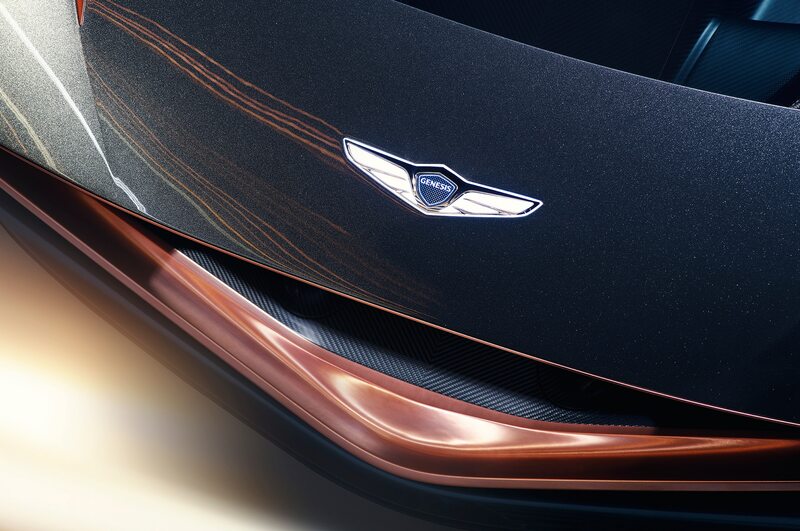 The world-class multicultural and multinational design and development team from the Korean Hyundai chaebol’s Genesis brand distilled thousands of valid imaginative inputs into the project. 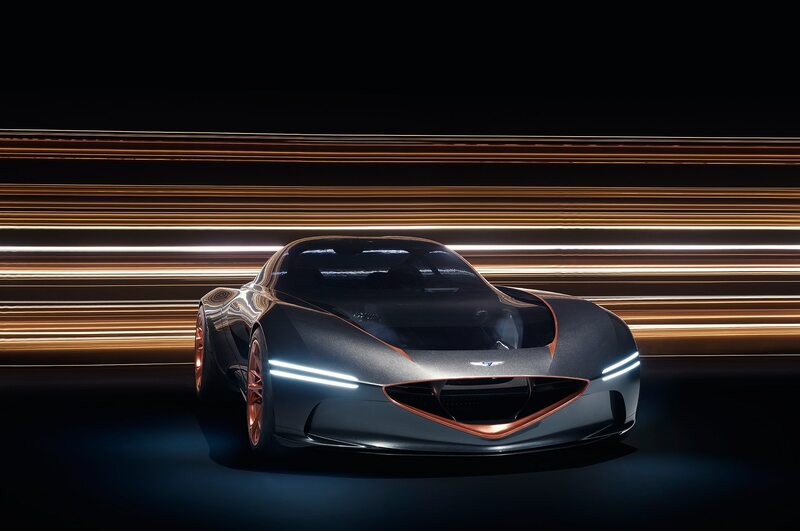 The Essentia’s importance is not that it’s a superb experimental vehicle from a relatively young Korean company but that it’s a human triumph, embodying the ideas from everyone chosen to join the effort. 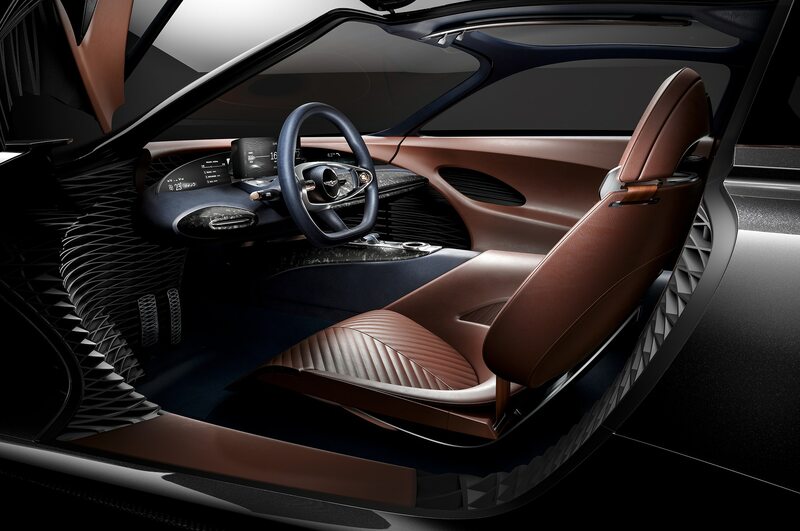 The Essentia’s rear view gives an impression of the body, its underside as smooth and whole as the shell of a tortoise. 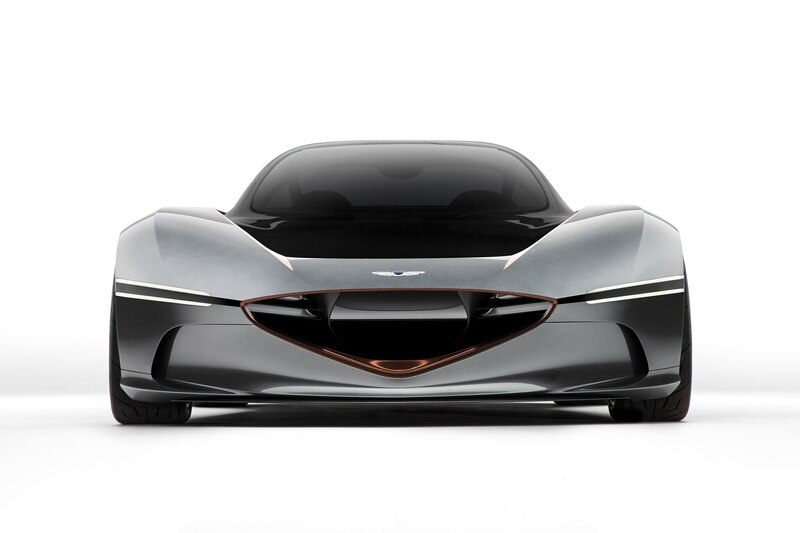 The transition from a monoformed windshield into a double-teardrop tail is elegant. 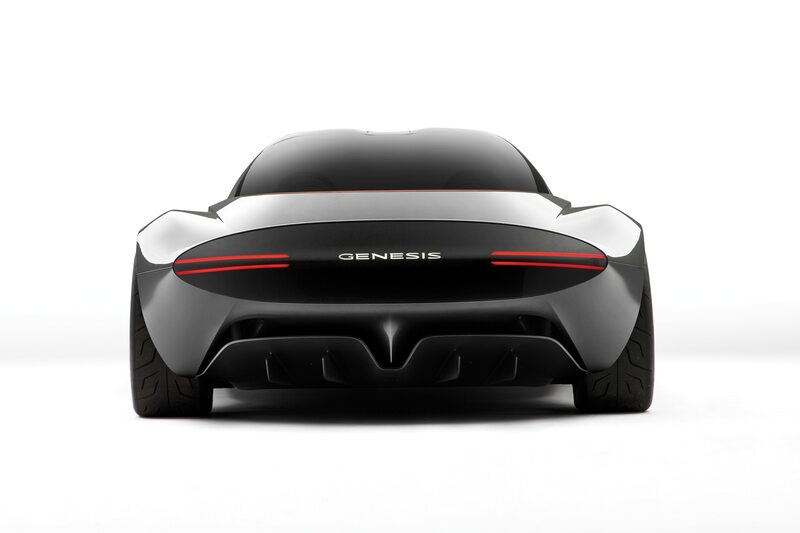 Led by Peruvian-born Belgian designer Luc Donckerwolke, a diplomat’s son who speaks at least half a dozen languages, Genesis design is exceptionally open to people from all backgrounds. With its primary studio in South Korea, another in Germany, and a thriving operation in California, it operates 24 hours a day by moving the work from one place to another. SangYup Lee is Donckerwolke’s No. 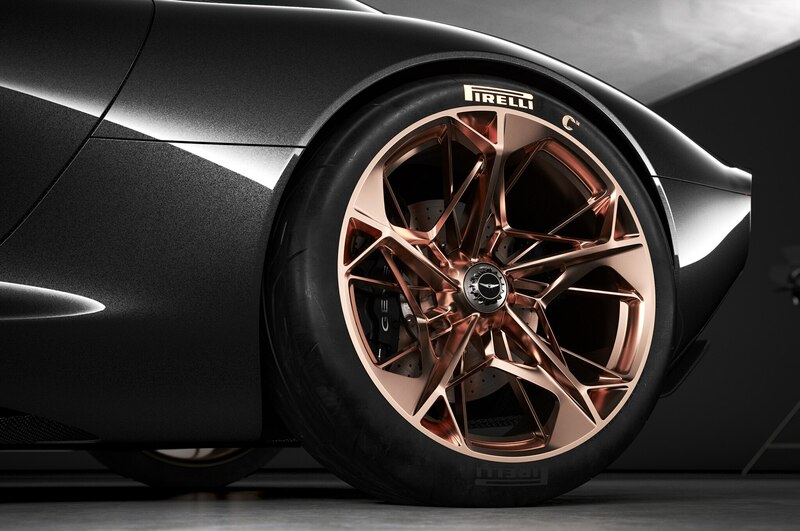 2, a Korean with tremendous car design experience in Europe and the U.S.—he led the current-production Camaro project, among other worthy initiatives in his eclectic background. This wide range of experience shows up frequently when talking with Genesis people. 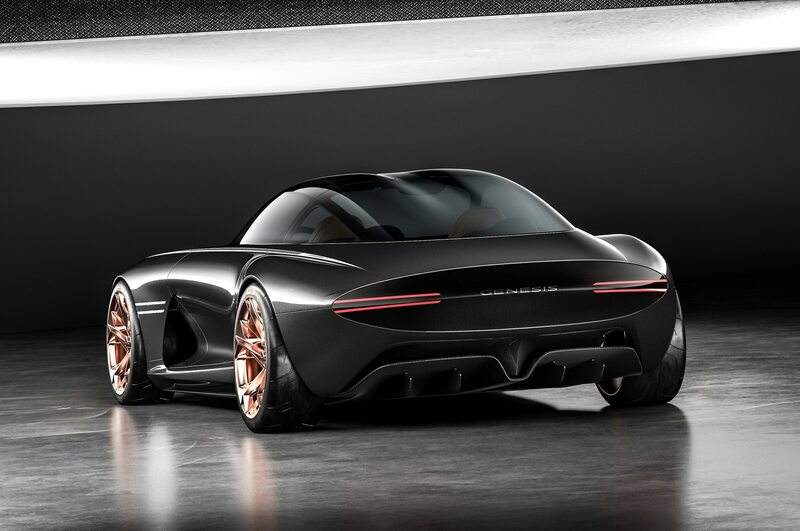 I saw the Essentia for the first time in material form this past summer while attending California’s Monterey Car Week, where I encountered Detroit-born Hans Lapine, younger son of the late Latvian-born American Porsche design director. 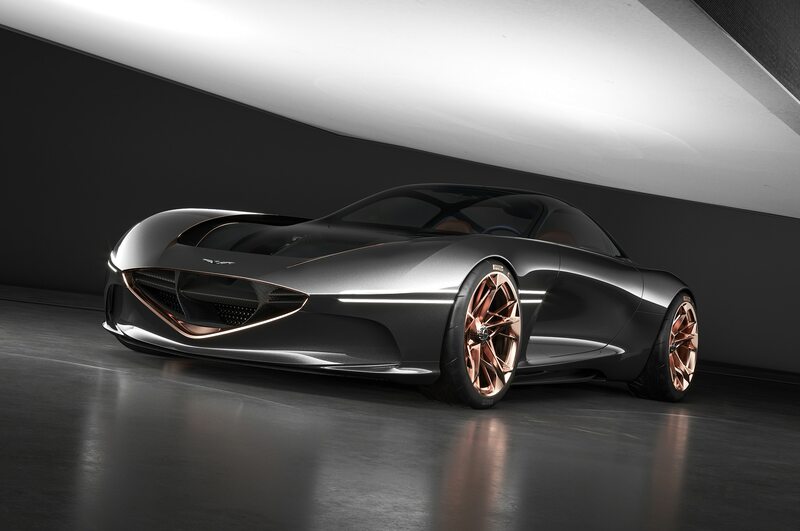 He casually mentioned he’d been sent from California to Germany to lead the construction of the physical concept itself, under the direction of Sasha Selipanov, who led the Essentia’s exterior design. 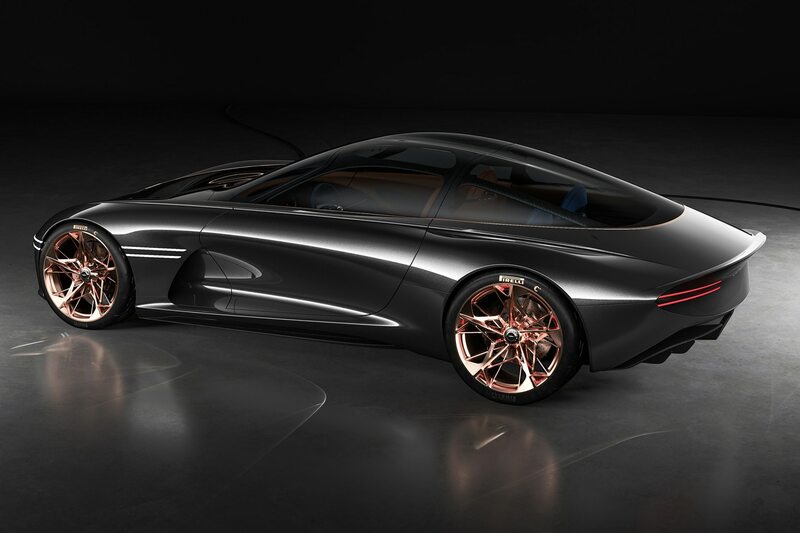 The degree and extent of transparency will be important in future vehicle design. 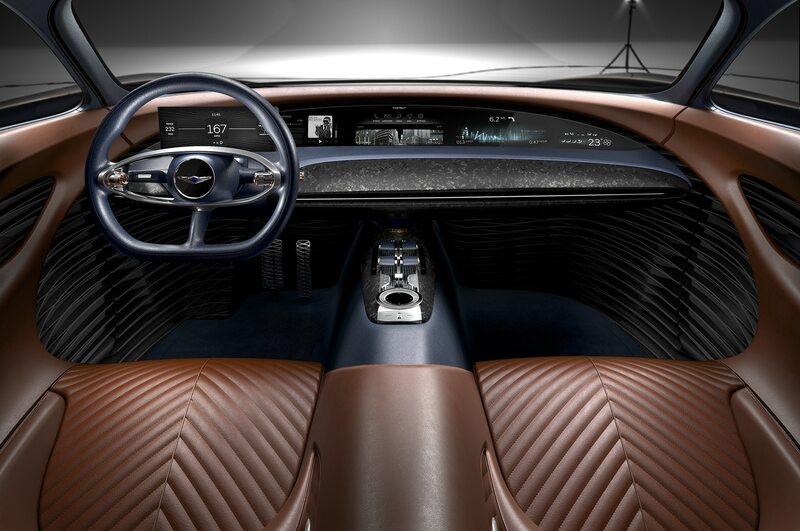 It gives us back the openness that ruled for the first few decades of automobiling. 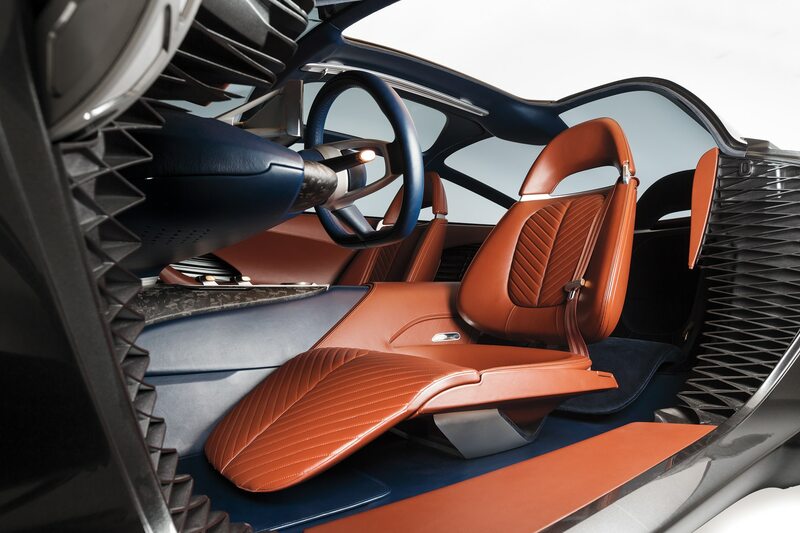 The public function of concept cars is to provide the world a view of the future, of what could and should take place in coming years in vehicles that will sit in showrooms and seek our favor. 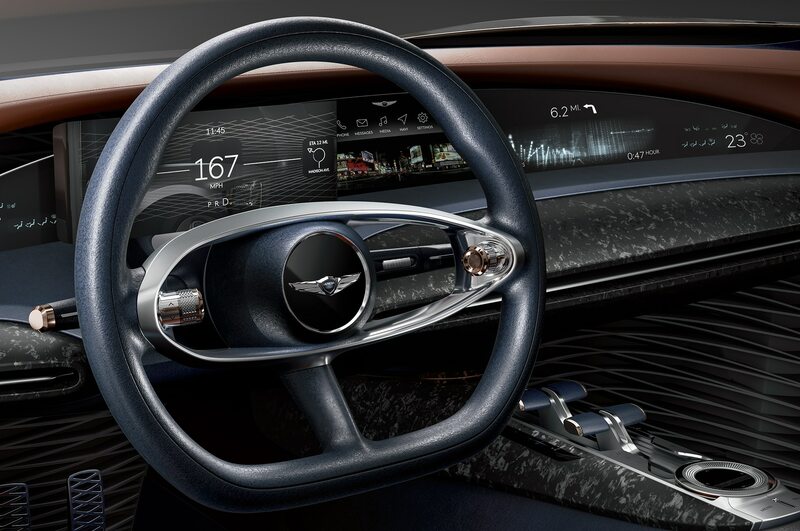 One of the aspects of this car I like most is the extensive use of glass, opening up the field of vision for all the car’s occupants. 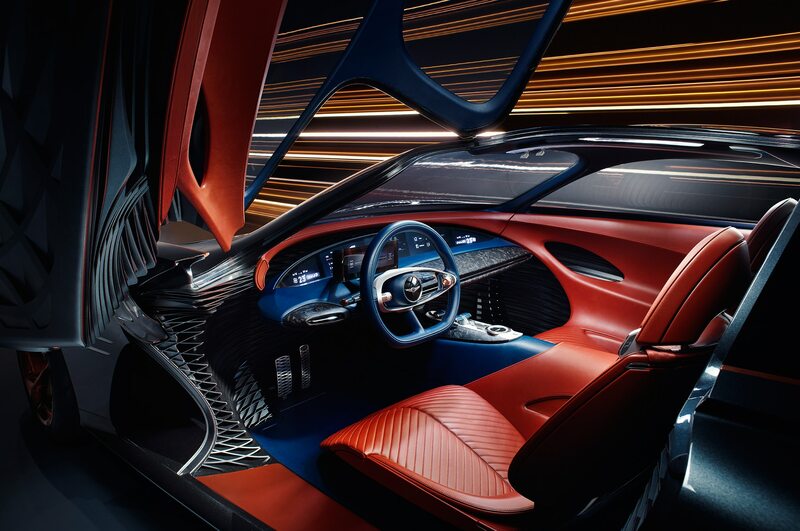 The ability to change the degree and extent of transparency will be important in future vehicle design. 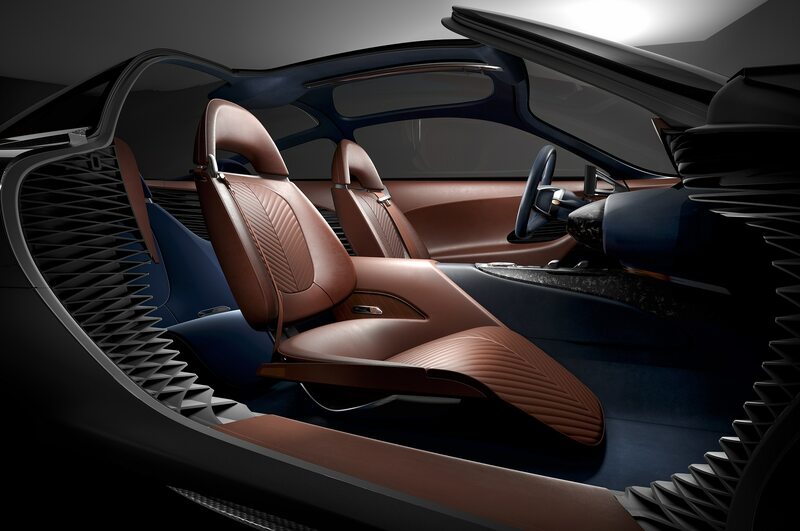 It gives us back the openness that ruled for the first few decades of automobiling, when most cars were open, with inadequate coverings available to protect passengers from rain and snow. 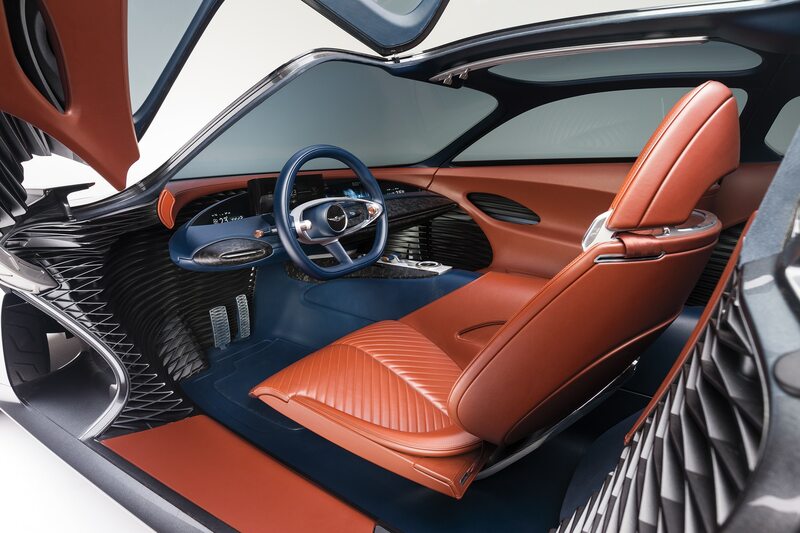 Closed cars were certainly better overall in daily use, but it is significant that we have chosen collectively to consider convertibles as the ultimate expression of automotive enjoyment. 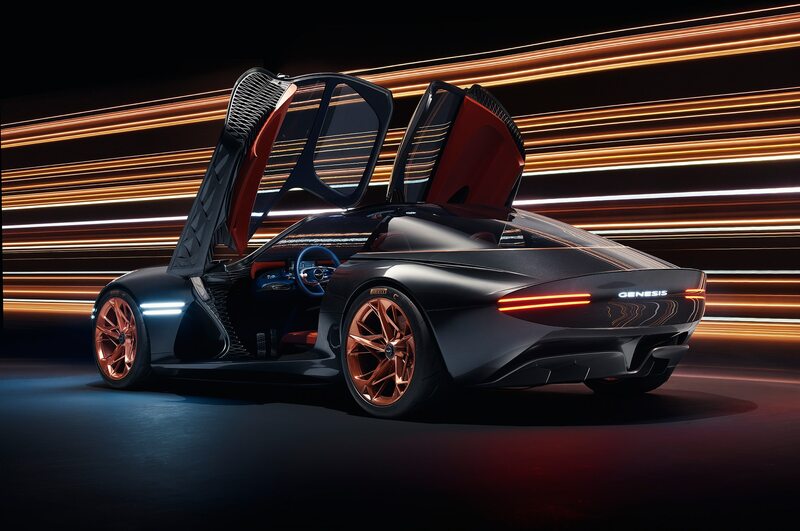 Now with cars like this one and the latest McLaren models, we are getting back to the ability to showcase the occupants of a car with its exterior form. 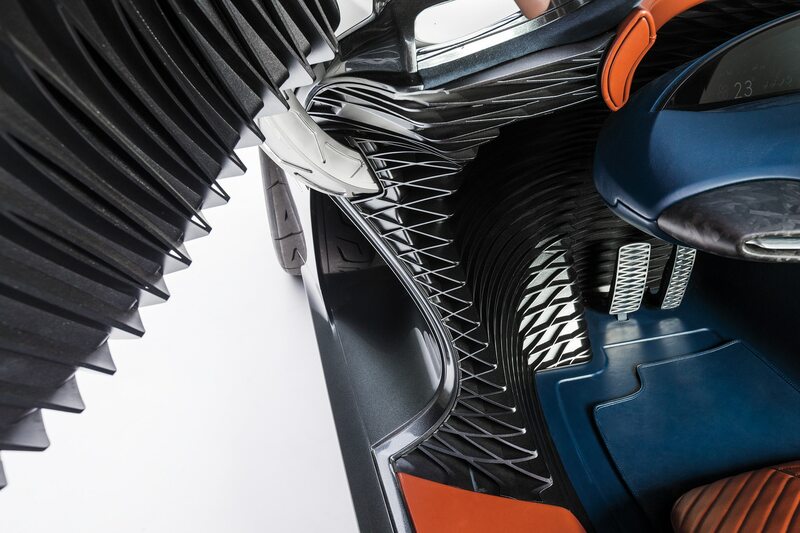 Complex 3-D-printed structures provide ventilation and strength as well as serving to attach inner modules to the outer skin. For all the appealing simplicity of the exterior, the use of three-dimensional printing for the interior is even more interesting—and more revealing of probable future practice. 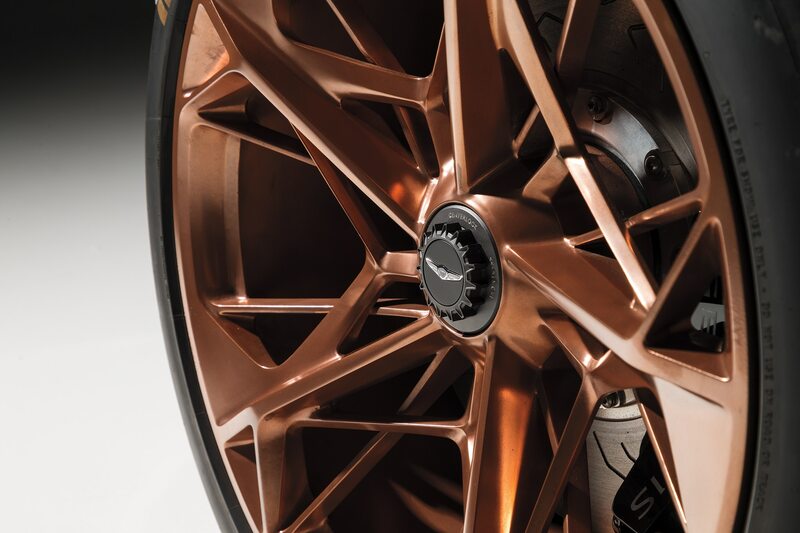 The outer skins are attached to inner parts by complex structures that provide ventilation passages and physical strength to the assembly while reducing weight considerably compared to normal practice. Think of it as applying nature to human-created construction. An almond’s shell has an outer and inner skin connected by what appears to be random struts, very much like what we see in the Essentia’s cockpit. 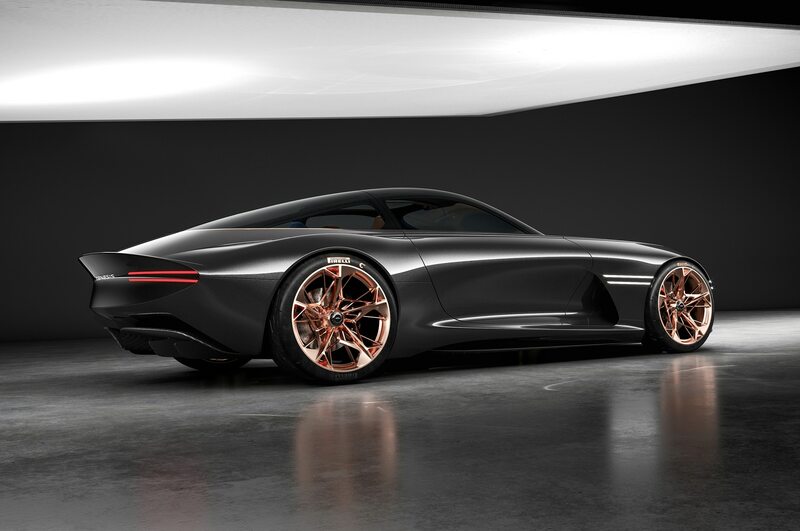 We hear there may well be a production version of this very imaginative and highly interesting car. We hope this is true, as there is substance to our latest Concept of the Year.